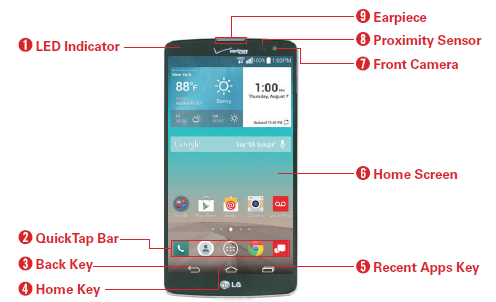 The LG G Vista Manual or LG VS880 User Guide has been published by LG official website. You can download the manual in pdf format. It's available in english and spanish language. This manual very important because provide important instructions for example about Connecting to Wi-Fi Networks and using SmartShare. 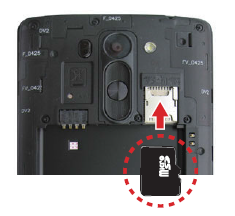 The LG G Vista (VS880) user manual contains reference information such as Phone Overview with layout and key functions, Setting Up Your Phone, Inserting and Removing a Memory Card, Removing the Battery and SIM Card, Turning the Phone On and Off, using touchscreen, and tutorial how to Locking Your Phone. Then about Connecting to Mobile Networks, Listening to Your Voicemail, using web, using Camera and Video, using play store, gallery, and youtube. Other information such as using QuickMemo+, using maps, using file manager, settings guide, safety and more.